"I am pleased to present the FY 2015-16 Annual Report covering the third year of our 2013-17 Strategic Plan. 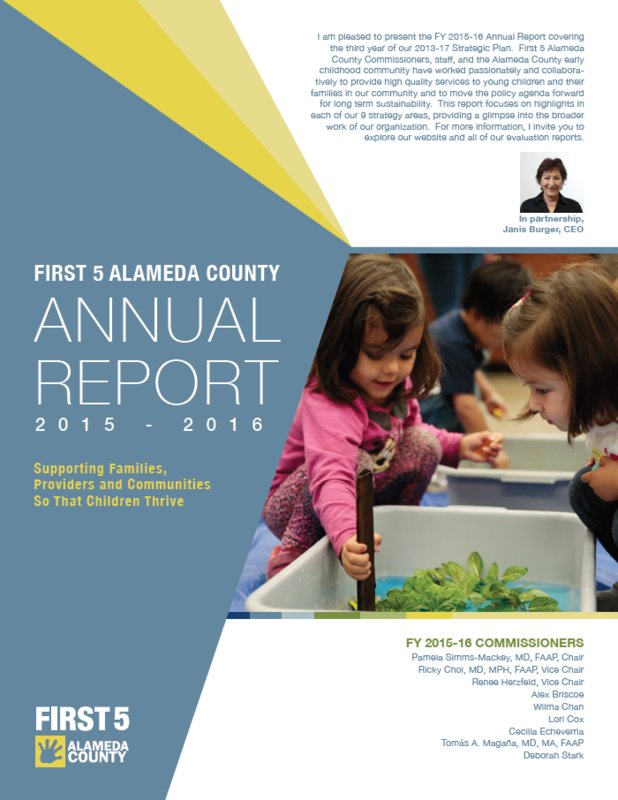 First 5 Alameda County Commissioners, staff, and the Alameda County early childhood community have worked passionately and collaboratively to provide high quality services to young children and their families in our community and to move the policy agenda forward for long term sustainability. This report focuses on highlights in each of our 9 strategy areas, providing a glimpse into the broader work of our organization. 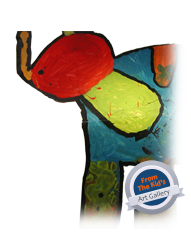 For more information, I invite you to explore our website and all of our evaluation reports." Check out maps related to our work!